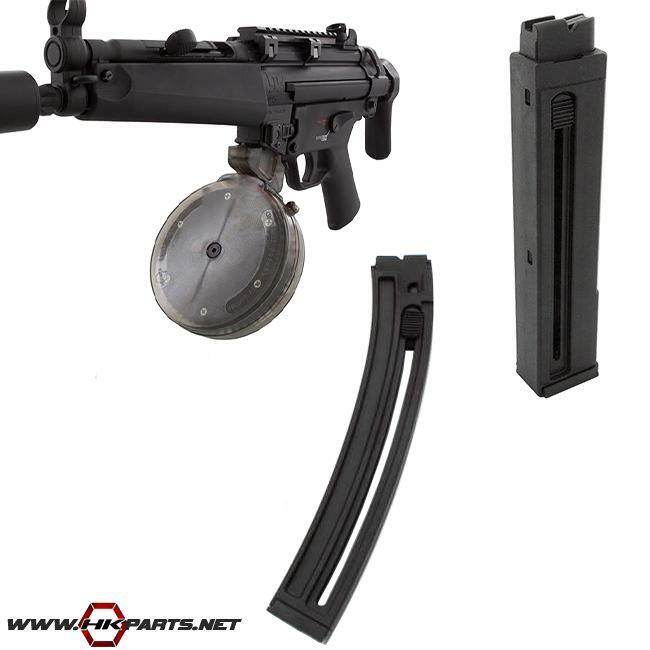 We offer a great selection of HK MP5 .22LR magazines on our website. Not only are the smaller round mags great to have on hand as spares, they also have great reviews and rating on our website! We also offer a 50 round drum magazine that is made in the USA by BDM exclusively for HKParts. Be sure to check out the magazines below.